I have serious concerns about the methodology and the language of this endeavor, as well as the virtually impossible task of quantifying intangibles such as how much an organization might raise public awareness on an issue or inspire individuals to act. And I’m mortified by the current endgame, the declaration that “all donor dollars should go to this organization because it impacts the most lives” – I do applaud the effort, for at the very least if done right it will provide another way to measure the effectiveness of advocacy organizations. I’ll probably go deeper into this effort another time. For now, I bring up the cost of effective advocacy because it’s front and center for Animal Help Now. We’re at the end of our first online fundraiser of the year. We’ve secured the promised matching funds, and we have less than $2000 to go before midnight, Weds, 9/30. We need your support. 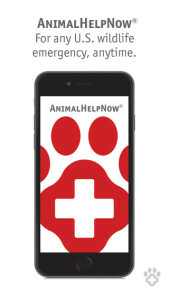 Animal Help Now is the world’s first reliable nationwide service a person can use to get help with a wildlife emergency. As many of you know, in Colorado and Texas AHNow also provides help for any domestic animal emergency. The program is being used about 10,000 times a year. That’s a lot of lives saved and suffering reduced. volunteers, together contributing on average more than 200 hours per month. Corporate partners provide services such as legal counsel and accounting expertise free of charge. Everyone works from home or at a coffee shop, so we have very little overhead. But the cost includes paying our staff a living wage. It ensures we keep our data current, innovate with our software and get the word out on our lifesaving program. 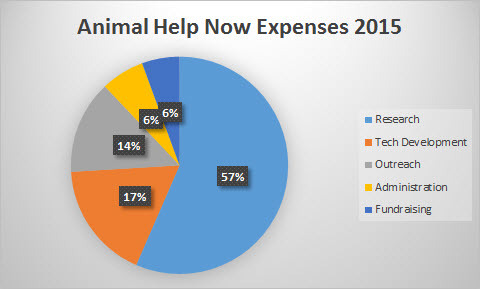 Animal Help Now is built for expansion. Canada in 2016? Why not? Domestic animal emergency functionality across the United States? Why not?! Animal Help Now was created educate, inspire and empower. Of course building windows can be more bird friendly. Of course roads can be safer for wildlife. Of course we can create a world in which we can act upon our compassion at all times. Imagine not being the only person to stop to help an injured animal by the side of the road. We won’t be alone because people will know what to do and will be empowered to do it. Previous Previous post: Have You Hugged a Wildlife Rehabilitator Today? Next Next post: We love rodents! Now tell us a story.